In 1975, Dannion Brinkley was struck and killed by lightning. When he awoke twenty-eight minutes later in a morgue, everything was different. He had visited the afterlife, met thirteen angels, and been given 117 revelations about the future. In the years since, one hundred of the revelations have already come true. 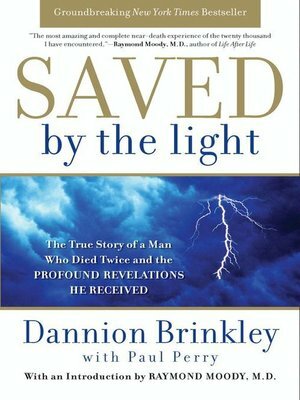 In Saved by the Light, now available in trade paperback for the first time, Brinkley shares his incredible story, revealing the truth about the afterlife and providing guidance from beyond about how we should live today. Paul Perry is an internationally bestselling author who has co-written nine books on near-death experiences.